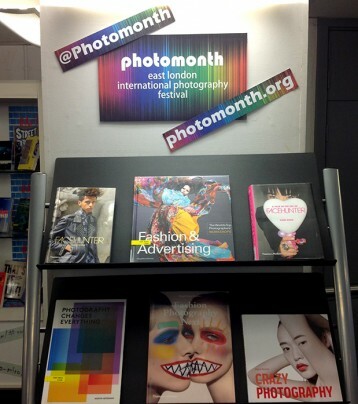 Photomonth is a festival of photography across East London during October and November. Exhibitions and events take place at a variety of galleries and venues across the area, celebrating the diversity of contemporary photography. The Cass staff and alumni have presented and taken part in a variety of exhibitions during the festival. To help celebrate, Aldgate Library has a display of photography books from our collection, just a small amount from our vast collection of fantastic books. This entry was posted in Exhibitions, Library books, Library Collections, Photography and tagged "art history", "Art Library", art, books, CASS, events, exhibitions, images, photography, photomonth, The Cass. Bookmark the permalink.